This new, weekly feature from CSBA will highlight a new education law signed by the Governor in 2018. All laws are effective Jan. 1, 2019, unless otherwise noted. The full What’s New for 2019 report on all new laws affecting K-12 education is available at www.csba.org/whatsnewfor2019. On Sept. 18, CSBA submitted a letter to Gov. Brown removing its opposition to and requesting his signature on Assembly Bill 1248 (Gloria, D-San Diego), but also requesting additional amendments to the bill in 2019 that will address CSBA’s concerns over the measure. Gov. Brown signed the bill on Sept. 27. 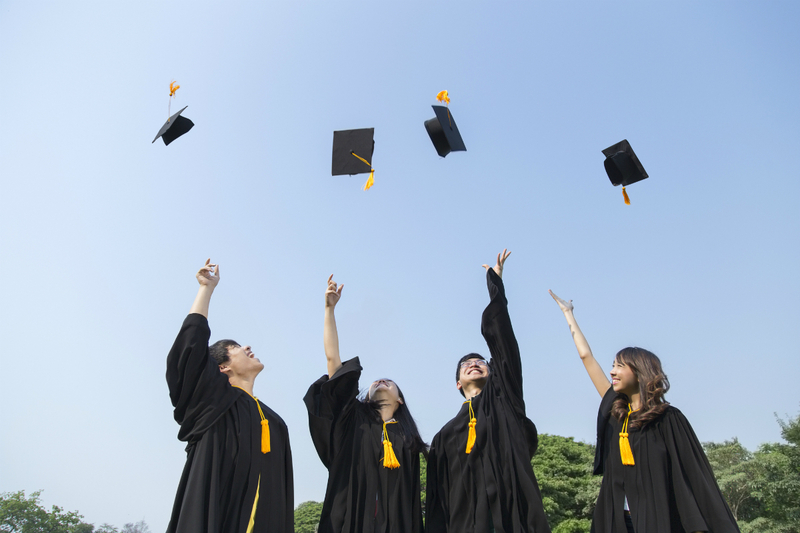 AB 1248, as enacted, clarifies that graduating students may wear traditional tribal regalia or recognized objects of religious or cultural significance as an adornment at school graduation ceremonies. Prior to amendments made to AB 1248 late in the 2018 session, the bill was identical in language to AB 233 (Gloria) from 2017, which Gov. Brown vetoed. AB 233 endeavored to solidify a student’s “right to wear religious, ceremonial, or cultural adornments” during graduation ceremonies. Last year’s bill would have subverted local control by preventing school boards from establishing and enforcing cohesive graduation dress codes. Specifically, AB 233’s definition of “cultural” as “relating to the habits, practices, beliefs, and traditions of a certain group of people” was unintentionally broad and likely to leave local educational agencies open to legal challenges if requests to wear cultural adornments, as defined, were denied. “To the extent that there is a dispute about what a student can wear at school graduation ceremonies, I believe those closest to the problem — principals and democratically elected school boards — are in the best position to make wise judgments,” Gov. Brown said in his veto message last year on AB 233. CSBA opposed AB 233 and had an oppose position on AB 1248 throughout the majority of the 2018 session. Amendments made in late August addressed many of CSBA’s concerns regarding the impact of the bill. CSBA will seek, and the bill’s author has committed to pursuing, amendments to this new statute in 2019 to clarify that the ability of students to wear religious adornments shall not be construed as a requirement for an LEA to allow the wearing of religious adornments that could be considered as an endorsement of a religious viewpoint by a public agency. Additionally, amendments will be sought to clarify two specific points in the bill’s definition of “cultural,” which has been one of CSBA’s primary concerns about AB 1248, as the definition is still unintentionally broad. The term “practices” should be deleted, so that the law will preserve recognized traditions (as is the intent) but will also maintain the necessary level of discretion for local education agencies. The phrase “a certain group of people” is likewise broad and can be interpreted as referring to any type of group. This phrase should be replaced with “a recognized group of people,” to provide school boards and administrators with the flexibility they need. It is CSBA’s belief that these amendments will adequately balance the rights of students to wear recognized objects of religious or cultural significance during graduations with the responsibilities of LEAs to maintain the focus on academic and co-curricular achievements that graduation ceremonies are intended to recognize.